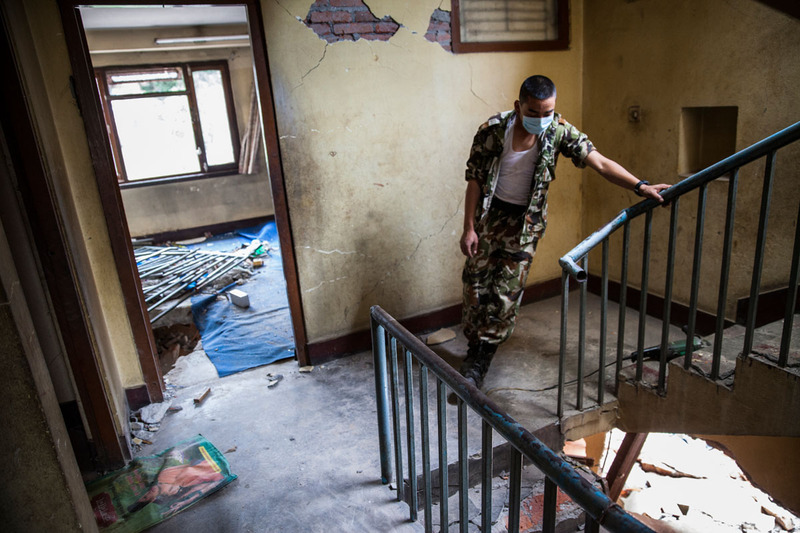 An exhausted soldier takes a break, as his team works to remove a dead body from beneath a collapsed building, two days after a huge 7.8-magnitude earthquake struck Nepal, and was felt as far as India and Pakistan. A series of aftershocks continue to strike fear into residents, who are sleeping outside in streets and parks for fear of collapsing buildings. The death toll continues to rise.